Golden sand dunes, exotic wildlife, enchanting temples, and a rich history make Rajasthan a perfect place to step away from the bustling city and spend a peaceful holiday. A home away from home, Rajasthan is every traveller's paradise, with lots to offer to its wanderers. Known for its illustrious palaces and magnificent forts, its sand dunes and its camels, its cuisine and its colourful clothing, Rajasthan is a fun-filled package for the explorers who wander from state to state in search of adventure a well as peace. 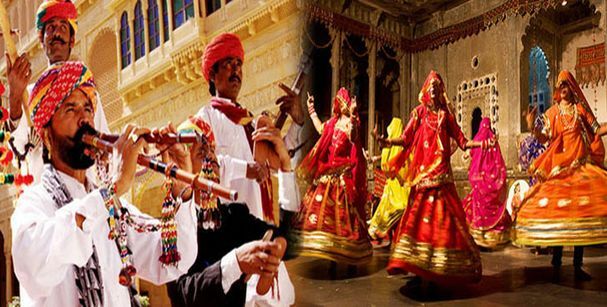 Rajasthan exhibits richness in its culture with its dance forms and its enchanting music, which lures tourists every year to be a part of it. If you are planning a trip to Rajasthan, be ready as there’s a lot coming your way. The central airport that connects to flights to Jaipur, Jodhpur, and Udaipur is the Indira Gandhi International airport. The Jaipur international airport is the main hub in Rajasthan, in addition to the Jodhpur and the Udaipur airports, providing access to several flights. This diverse connectivity has boosted the tourism in Rajasthan to a huge extent. Rajasthan has diverse rail connectivity that runs from Delhi and Mumbai, which are connected to the major cities in Rajasthan. The 4600 kilometers long railway track connects all the major cities such as Jodhpur, Jaipur, Udaipur, Bikaner; with Jaipur being the headquarter of the North-West Railways. 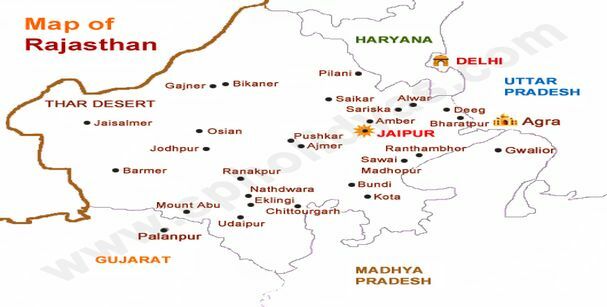 Reaching Rajasthan from Delhi is an eight-hour drive, passing the 5655 kilometers national highway. NH 8 connects Jaipur and Udaipur, and there is a four-lane road that connects Agra to Jaipur. You can book a cab to en route the journey to Rajasthan and explore the uncovered bits of the route while on your travel. Ideally, the best time to visit Rajasthan is between October to March, as Rajasthan is a hot and humid state. So visiting Rajasthan in summers isn’t an option, unless you’re hitting the Aravallis to visit Mount Abu. Due to its climatic conditions, Rajasthan attracts a majority of tourists in the winter season, towards the end of the year. With tons of fairs and festivals that take place between October and March, tourists can participate enthusiastically and also shop like crazy, without worrying about the heat or humidity. Basking in the sun during daytime, and sitting by the bonfire during the night are some unexplainable experiences that you are going to behold and cherish during your trip. Let the ship of the desert be your host and show you the beauty of Rajasthan on its back. 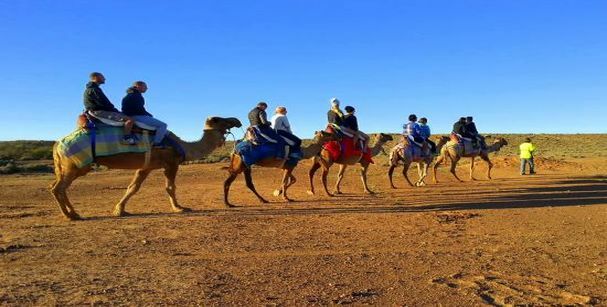 One of the most popular desert activities, camel rides are not to be missed. Ride in the desert of Osian, Jaisalmer, and Bikaner on the back of those friendly camels. Take a ride on those magnanimous creatures, decorated beautifully, ready to take you on a sightseeing tour. 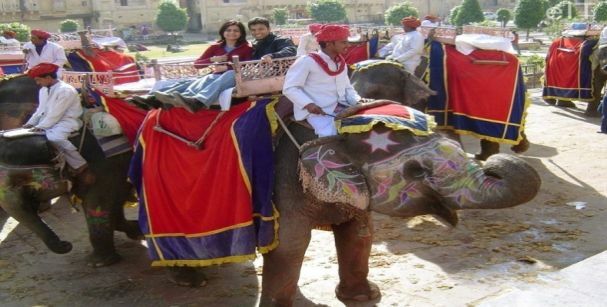 Be friends with the elephants while on the ride and explore the ethnicity of Rajasthan as you go. Rajasthan houses some of the largest forts and palaces that reflect a diverse history and a rich cultural heritage. Explore the Mehrangarh Fort, the Chittorgarh Fort, the Hawa Mahal, the City Palace, to name a few. 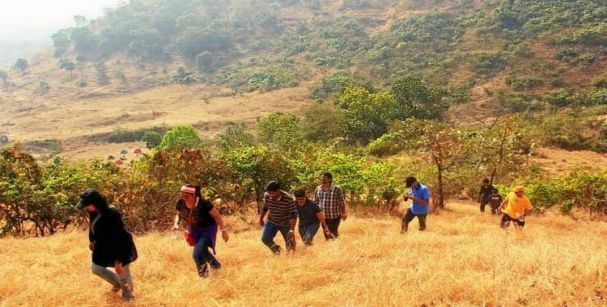 If you are an adrenaline junkie, there are numerous sites where you can experience trekking, and camping in the lap of nature. Head to Kumbalgarh, Ghanerao, and Ranakpur to experience thrill and adventure at its best. Being one of the most famous activities to explore Rajasthan, the hot air balloon ride is set to give you a memorable experience and a bird’s eye view of the place. 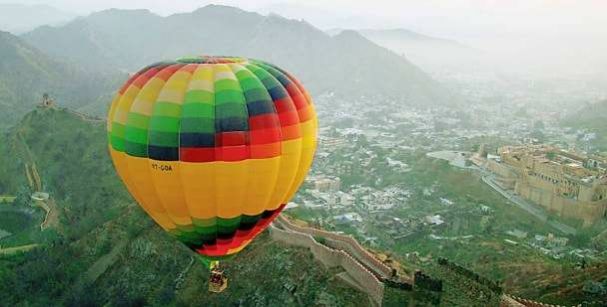 Visit Jaipur to experience the beauty of Rajasthan from several hundred feet above the ground. Experience the thrill of flying from one end to another, with the Mehrangarh Fort as the backdrop. Enjoy a complete view of your surroundings as you feel the adrenaline rush inside your veins. 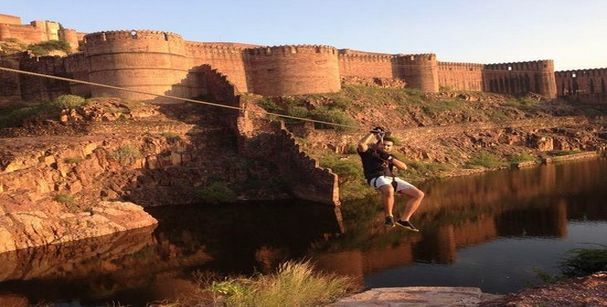 Visit the Mehrangarh fort for a thrilling Flying fox experience. Indulge in a fun-filled boating experience in the city of lakes and admire the picturesque view of the city with your loved ones. 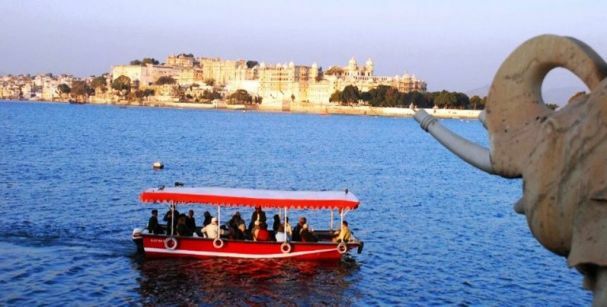 Make yourselves comfortable while you board the boat and enjoy boating on the oldest lake in Rajasthan, the lake Pichola! 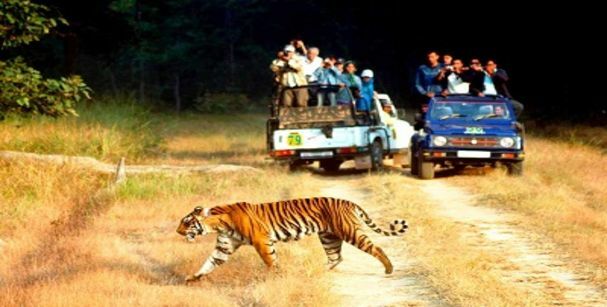 Be friends with the wildlife residing in Rajasthan in some of the most famous wildlife sanctuary in Rajasthan and bird sanctuaries, such as Sariska National Park, Ranthambore National Park, and Keoladeo Bird Sanctuary. 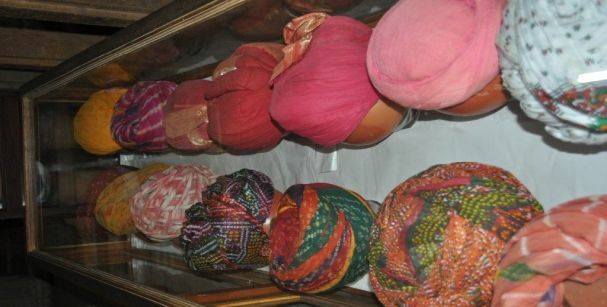 Rajasthan is all about culture, tradition, and art. Shop colorful mojaris, bangles, traditional handicrafts and souvenirs from the famous markets in Rajasthan for your loved ones. Shop like crazy, as there are lots of things that you can’t resist! Groove with the dancers at some Rajasthani folk music and enjoy the performers exhibiting various dance forms to entertain you. Experience the cultural essence of the place in the air as you get mesmerized by those enchanting performances. The land of the Maharajas is a perfect blend of history and culture that has made its way to the hearts of millions of tourists. 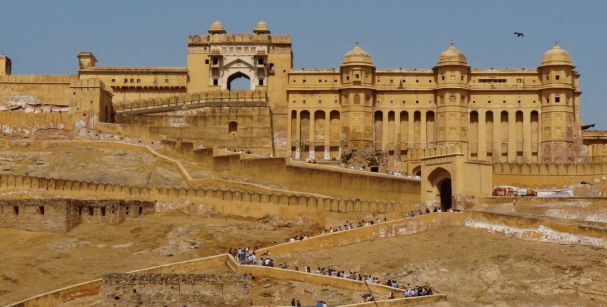 The cultural heritage of Rajasthan is backed by a historical significance, with Rajasthan forts and palaces, with tales of heroism, royalty, and romanticism. If you want to familiarize with the richness of culture, traditions, and history; get ready to experience adventure, culture, peace, and togetherness as the Rajasthanis welcome you with open arms.